Green Alliance Horizon Debates: How will UK farming have to change in a net zero emissions economy? 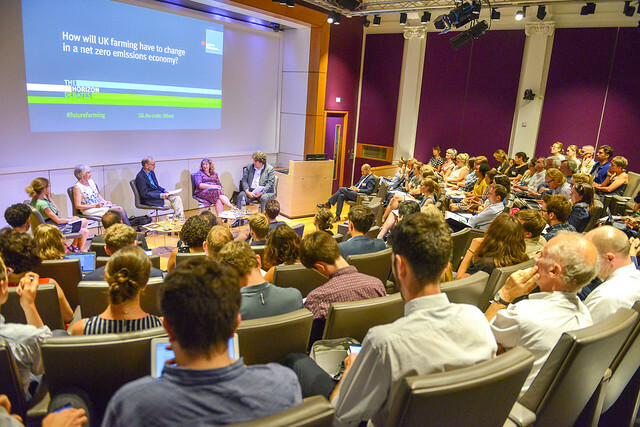 Horizon Debates: How will UK farming have to change in a net zero emissions economy? CAP reform, the 25 year environment plan and Brexit will all combine to reshape future UK farming and land use, but the necessary contribution of land use to meeting more stringent carbon targets, and possibly even reaching a net zero emissions economy, has not yet been acknowledged by politicians. This debate discussed the tensions between meeting these challenges and the different visions for the future of rural communities and landscapes. Chaired by Roger Harrabin, BBC environment and energy analyst. Listen to our podcast for the event highlights. See the photos of the event and an event summary.